Dinner parties aren't reserved for the holidays! Laundress ladies Gwen and Lindsey love to ring in spring by hosting a candle-lit get together, complete with good food, good company, and good conversation. 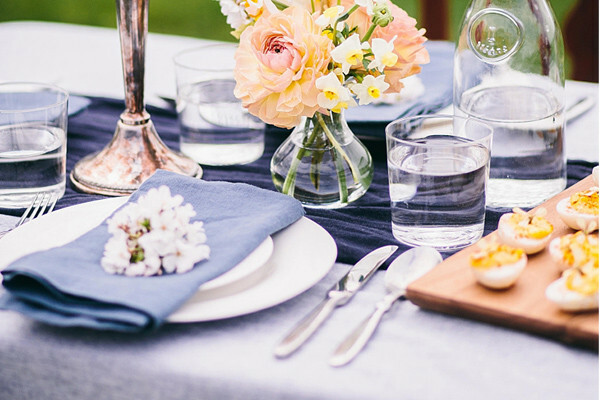 Read on to learn their expert tips for setting a lovely spring tablescape. Gwen and Lindsey are not afraid to to mix metals—you shouldn't be either! 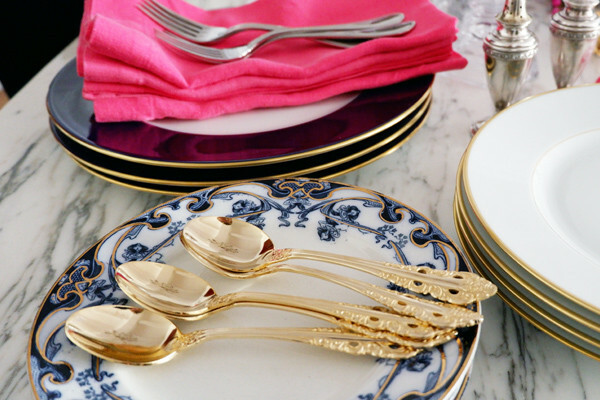 Switch it up by setting the table with gold and silver flatware and serveware. 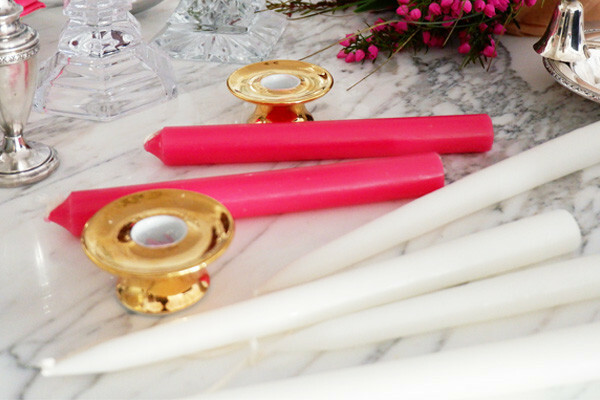 If using taper candles, go for dripless ones to avoid any waxy spills. For tealights and all other candles, keep a snuffer nearby to prevent any blow-out splatters. When it comes to selecting arrangements, channel the spirit of spring with romantic, whimsical, and bright colors. Consider adding fresh fruit and berries to your floral arrangements for a fun twist! 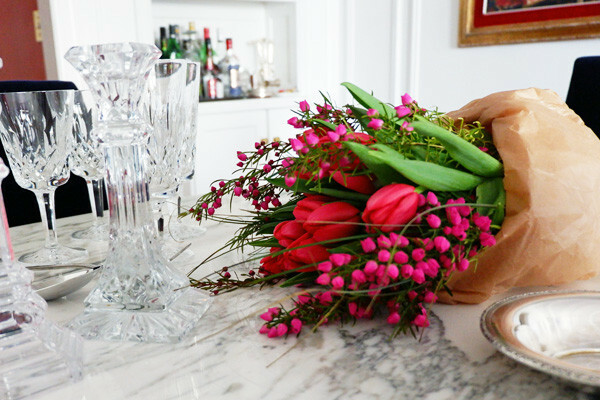 We like to keep arrangements loose and light, as if they were freshly picked from the garden. Avoid tall centerpieces—they’ll block guests’ views and conversation! Instead, choose several smaller/lower arrangements and spread them across the length of the table. 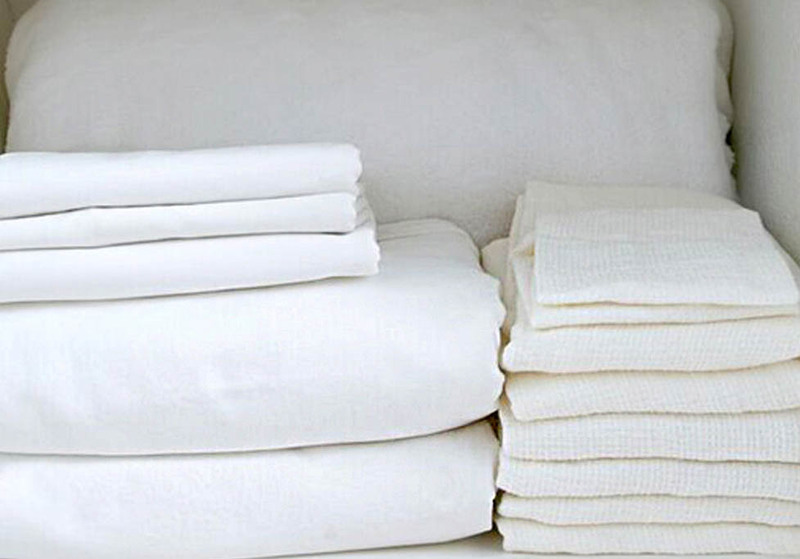 To elevate any meal gathering, skip the paper napkins and opt for cloth napkins instead. Paper is reserved for the kiddie parties only! We love to mix and match heirloom china with market finds and housewarming gifts for a charming setting. 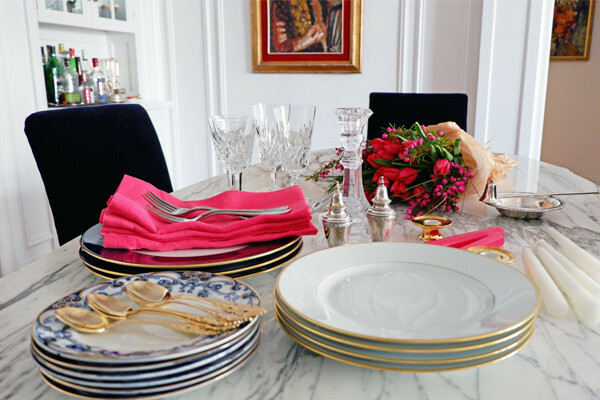 To keep things from getting too busy, reserve floral and colorful china for the dessert or salad plates. Center the salad plate on top of the service plate. To the right, place the dinner knife facing inwards, followed by the soup spoon. To the left, place the dinner fork, followed by the salad fork. At the top, you may place the dessert spoon, and/or the cake fork. The water goblet should be just above the knife, and the wineglass just above the spoon. 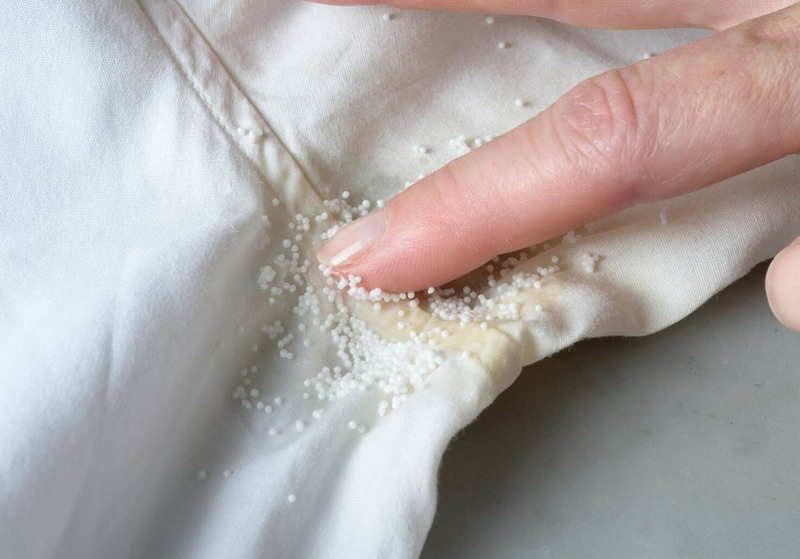 From tomato sauce and salad dressing to candle wax spills, mealtime can be messy business. 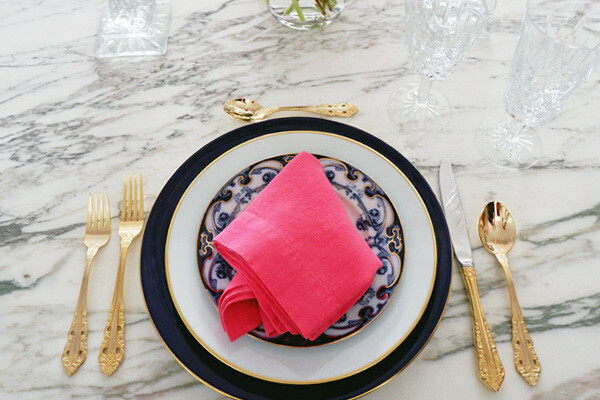 Get dinner party ready in no time with our how-to for table linen stains! Underarm stains are the pits. 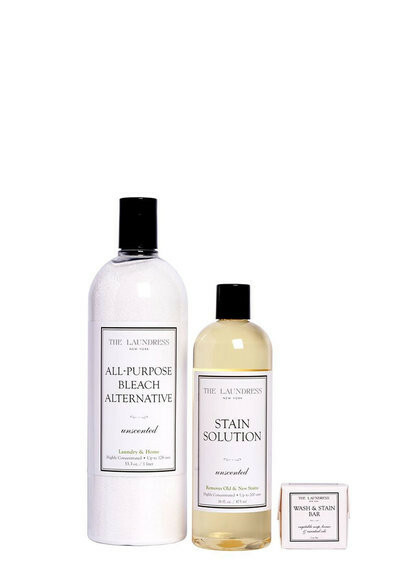 Check out our no-sweat solution!